Malaga manager Manuel Pellegrini has turned down the chance to replace Carlo Ancelotti at Chelsea according to his agent Jesus Martinez. The Chilean coach was approached by intermediaries working for Blues’ owner Roman Abramovich to replace the Italian. Pellegrini was dismissed as Real Madrid boss last year after failing to win any silverware but did secure more points than Jose Mourinho managed this season. Speculation has been rife as to who will take over at the Bridge with Guus Hiddink, Marco van Basten and Pep Guardiola all linked with the vacancy. 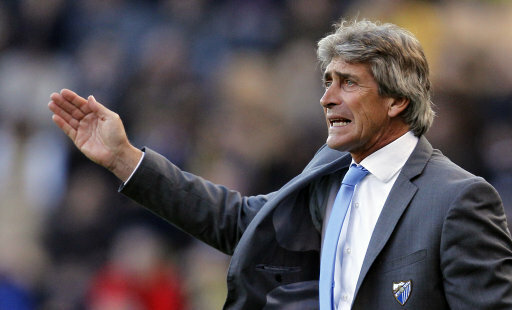 But Martinez has claimed Pellegrini was offered the job but turned it down because he is happy at Malaga.